Was President Trump’s recognition of Israeli sovereignty over Golan just a grand gesture of friendship between the US and Israel? Or is there more to this story? Who stands to benefit and who loses? Who does the Golan Heights belong to, anyway? The Bible tells us. Is this part of YHVH’s plan? These and other questions answered, plus Russian, Arab and European reaction on today’s BWN Jerusalem Report! DISCLAIMER! WHEN I SAY THE WORD “JEWS”, I MEAN THE CHABAD CABAL AND OTHER JEWISH LEADERSHIP AND THOSE FROM THE HOUSE OF JUDAH WHO SUBSCRIBE TO CHABAD’S EVIL DOCTRINES. I DO NOT MEAN ALL JEWISH PEOPLE! While President Donald Trump’s decision to recognize Israeli sovereignty over the Golan Heights is primarily being explained away as geopolitics, it may have more to do with US domestic politics. Trumps may be trying to cause a shift in partisan support of Israel away from the Democrats to the Republican party which will also rally evangelical Christians around his presidency. He chose to sign the Golan Heights sovereignty decree on March 25 as American Israel Public Affairs Committee (AIPAC), the main Israel lobby group in the United States, was holding its annual conference in Washington. This year, the event took place against the backdrop of Democratic House Representative Ilhan Omar’s comments criticizing the lobby and the decision of a number of Democratic presidential candidates to boycott it. Trump and members of his administration took the opportunity to attack the Democratic Party, with Vice President Mike Pence rebuking the Democratic party for being “afraid to stand with the strongest supporters of Israel in America”. The White House is purposefully feeding a narrative that the Democrats’ commitment to Israel is wavering and that there are growing signs of what one former Trump campaign aide has called “Jexodus” – the supposed exodus of American Jews from the Democratic camp, which they have traditionally supported, to the Republican one. But despite Trump seemingly encouraging a “Jexodus”, it is not the Jewish vote he is after; Jews are only two to three percent of the American electorate. Rather, his goal is to secure the support of and a high turnout in the 2020 presidential election among evangelical Christians, who make up 25 percent of the US population. There has always been a complex political symmetry between Israeli and US politics. Right-wing Israeli Prime Minister Benjamin Netanyahu never got along with two liberal US presidents; Bill Clinton and Barack Obama. However, Trump is the gift that keeps on giving. The current collusion between right-wing leaders in both the US and Israel is unprecedented and is marginalizing the left in both countries and pushing back against what they perceive as liberal institutions, most notably the media and the judiciary branch. Trump hopes to use this alliance to engineer a sway to the right in US politics, similar to the one in Israel. While political decisions favoring Israel are certainly boosting Trump’s and Netanyahu’s chances of re-election, they are conflicting with other US objectives in the Middle East. Pompeo’s March 22 visit to Beirut, for example, was eclipsed by Trump’s decision on the Golan Heights, which undermined his call on local political forces to deter Hezbollah. Jewish and pro-Israel groups applauded Trump’s declaration. What appears to be good, i.e. the moving of the US embassy to Israel and quitting the Iran nuclear deal, was only the start of Trump’s agenda to change the world by involving the leader of Israel’s sister, the United States and her Western allies, in a push for Israel to become a supreme power on the earth. I suspect Trump’s unconscious maneuverings also have to do with the Tribe of Reuben. If Trump is a descendant of Reuben, his manipulations are intended to boost Trump’s ego which likely wants to rule over Israel. I suspect Trump’s motivation, unconscious as is likely is, really has to do with Reuben’s DNA trying to regain its supremacy as firstborn of Israel. According to the New York Times, President Trump’s proposed reversal of decades of American policy on the Israeli occupation of the Golan Heights has more to do with Israeli politics than American interests. Trump created a controversy where none needed to exist. Israel has been under no pressure to end the occupation of the Golan, which began during the 1967 Arab-Israeli War with the seizure of some 400 square miles by Israeli troops. Trump’s politics are for both reasons given in the Aljazeera article and in the New York Times. Trump has both agendas in mind, in my opinion. 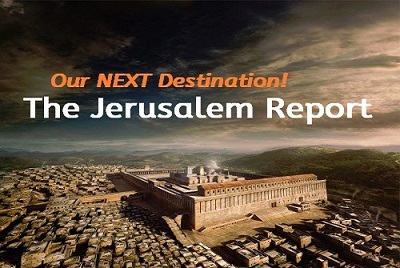 YHVH may be using Trump to facilitate the reuniting of the House of Israel – led by the US in the Western world – and the House of Judah who are the Jews of the modern UN-created political State of Israel. Of course, both Houses must go through a horrible war together before they reunite. Trump’s policies are making a mess for America and Israel making the prospects of war much more real and closer to coming. But Israel’s prime minister, Benjamin Netanyahu, is facing a tough re-election fight, and he has pleaded with Mr. Trump to make the move. The tweet bolsters his claim that he can best keep Israel safe because of his close ties to the White House. There is another possible truth that lies halfway between the Aljazeera and the New York Times opinions. It is also likely that Trump doesn’t want to face Benny Gantz as Israel’s Prime Minister. Therefore, Trump needs to boost Netanyahu for the Israeli election and for the peace plan to be revealed after the election. Thus, Trump helped Israelis to see that Netanyahu is the best choice by letting them think he got Trump to do his bidding. Gantz is unlikely to get behind a peace plan he has not had a chance to shape, as Netanyahu had for the past two-plus years. This is another reason Trump might not want Gantz in office. The U.S. will need to consult Gantz, who might not take office until late spring, according to Politico, and this would hold up the “deal of the century”. Trump would probably rather see Gantz in the Defense Minister post to uphold the deal once it is made – if it is made. Naftali Bennet said that Prime Minister Benjamin Netanyahu and US President Donald Trump were planning to establish a Palestinian state in the West Bank and divide Jerusalem, according to the Times of Israel on February 24, 2019. Of course, Netanyahu sniffed at Bennett’s statement. U.S. and Israeli officials told McClatchy they did not expect Trump to raise the administration’s proposals for peace with the Palestinians— largely complete, but not yet revealed to the public nor privately shared with Netanyahu — in Monday’s meeting at the White House, nor any other time before Israel’s general elections on April 9. President Donald Trump gave Israel’s Prime Minister Benjamin Netanyahu not one, but two political gifts this week: recognition of Israeli control over the Golan Heights, and a delay in the rollout of his administration’s long-awaited Middle East peace plan. In other words, the things Trump has done for Israel and Netanyahu – like this Golan recognition and moving the US Embassy – have a price. The unnamed US official must know something that the rest of the world does not: Netanyahu is ready to make the deal in exchange for all the favors Trump has given him – the US embassy in Jerusalem, the Golan Heights declaration, rescinding the Iran nuclear deal and a permanent US military base on Israeli soil to “guard” Israel from Iran and Russia (even though this was necessary due to Trump’s ineptness dealing with President Vladimir Putin on Iranian and Syrian issues). Golan was Manasseh’s territory (Deu_4:43, Jos_20:8, Jos_21:27, 1Ch_6:71. Manasseh is Ephraim’s older brother and the father of the half-tribe of the same name. Jacob’s blessing was for Ephraim to hold the firstborn position temporarily for his father, Joseph. Manasseh is an Ephraimite, a House of Israelite, and one who, today, provides a unique opportunity for an older brother such as a Reubenite to gain back his firstborn status by orchestrating control over the area, then giving that same control to the Jews of the modern UN-created political State of Israel. I’m talking about a possible Trump unconscious and underhanded motivation. Netanyahu praised Trump for this gift of Golan. In a powerful detour from political platitudes, the Israeli prime minister waxed Biblical, comparing the American president to Persian King Cyrus”. King Cyrus could not have cared less about Golan, but that’s for another time. The Golan declaration is not just about politics, it is also about oil. Eze 38:12 To take a spoil, and to take a prey; to turn thine hand upon the desolate places that are now inhabited, and upon the people that are gathered out of the nations, which have gotten cattle and goods, that dwell in the midst of the land. The timing [of the declaration] is significant. This is another crude [no pun intended] attempt by Trump to meddle in Israel’s election [that] will provide Netanyahu with a massive [bump] as he struggles against corruption indictments and a credible threat from the rival party, Blue and White, headed by former army generals. This month, Republican senator Lindsey Graham made a very public tour of the Golan in an Israeli military helicopter, alongside Netanyahu and David Friedman. And Israel has been quietly cooperating with US energy giant Genie to explore potentially large oil reserves under the Golan. Trump’s adviser and son-in-law, Jared Kushner, has family investments in Genie. But extracting the oil will be difficult, unless Israel can plausibly argue that it has sovereignty over the territory. According to RT.com, Perhaps even more pivotal is the lucrative matter of giant oil reserves reckoned to be under the Golan rocks, as reported previously by Whitney Webb. US oil company Genie, through its Israeli subsidiary, was given exclusive exploration rights to drill the occupied territory by the Netanyahu government in April 2013. Two years later, a major oil discovery was made. But, whatever [Trump] says, the decision will not bring security for Israel, or regional stability. In fact, it makes a nonsense of Trump’s “deal of the century” – a long-delayed regional peace plan to end the Israeli-Palestinian conflict that, according to rumor, may be unveiled soon after the Israeli election. Instead, US recognition will prove a boon for the Israeli right, which has been clamoring to annex vast areas of the West Bank and thereby drive a final nail into the coffin of the two-state solution. It does not necessarily follow that annexation of part or all of the West Bank puts an end to the two-state solution – I’ll tell you more about that in a minute, nor does recognition of Golan belonging to Israel constitute a theft. Golan belongs to the tribes. Just because the House of Judah Jews refuse to allow us back onto our land doesn’t mean Golan should not become part of the modern UN-created political State of Israel. In fact, I believe this is another piece of YHVH’s will. Once the modern UN-created political State of Israel has full control of all the land, YHVH will have even more reason to hold them accountable to that Jubilee oath they took last year and the year before. The Economist magazine headlined in November 2015: ‘Black gold under the Golan – just one catch.’ The business magazine reported how US and Israeli oil experts had found a bonanza but in a “most inconvenient site.” Inconvenienced, that is, by international law not recognizing Israeli territorial claims. Another driving influence is the close connections between Trump’s inner circle and the Genie Energy company. Get that: Trump’s inner circle and the Genie Energy company. If you don’t think that this is about oil, think again! The former president of the company is Ira Greenstein, a lawyer who is close to the Kushner family through mutual business interests. Greenstein was brought into the White House advisory circle as a legal aide reportedly through his connections to Jared Kushner, Trump’s son-in-law. Observers have noted that revolving-door relation is a stark and potentially illegal conflict of interest in the White House. The cozy overlap of connections include Gary Cohn, a former chief executive at Wall Street bank Goldman Sachs and who until last year served as Trump’s economic adviser. Goldman Sachs was reportedly a major investor in Genie Energy. Trump’s Special Representative for International Negotiations Jason Greenblatt is also reportedly another major investor in Genie. You’re not being told the entire truth by the MSM. Just like you’re not being told the entire truth about the coming Jewish Chabad Cabal messiah Antichrist, you’re not being told the reasons for Trump’s and Netanyahu’s collusion on matters of Golan and the peace deal, either. There is a great deal of money to be made, a way for the US to continue having a stake in the Middle East’s oil and gas production, not to mention the strategic ability to oppose Iran. And, of course, there is the agenda of Trump to get his name in the history books as the world’s greatest deal maker using the peace plan to do so along with helping Israel unveil its man-messiah. Allowing the Israelis to have security control in Palestinian areas of the West Bank seems to be part of the coming peace deal. Friedman uses the Biblical terms for the West Bank – Judea and Samaria – when referring to the 2005 pullout of Israeli troops and settlers from Gaza, according to this Reuters article. Friedman may be using Biblical terminology, but he lacks understanding of what he is saying. Judea belonged to the tribe of Judah. Samaria belonged to the tribe of Ephraim. The tribe of Judah, along with the Levites, the tribes of Benjamin and Simeon and a few from the northern territory became known as Jews. The word “Jew” is a Babylonian diminutive, derogatory term. Samaria became a city of the Jews after the Assyrians took the House of Israel captive. Some tribes and parts of tribes remained in Israel and were moved to the mountains by the Assyrians. However, the Jews began moving to the same mountains. Today, the Israelite people who still live there after 2700 years, are a mixture of people from the House of Israel and the House of Judah along with some Edomites and Arabs, but mostly Israelites. Samaria never belonged to the House of Judah and it never will. Ephraim will get his territory back when Yeshua returns to set many issues straight. Friedman’s comments did not say what “overriding” Israeli security control in the West Bank would entail. But his reference to a permanent defense post in its eastern sector, bordering Jordan, seemed to suggest at least a partial troop presence. Might I suggest that US troops will help with Israel’s security in the West Bank? We will have to wait and see, of course, but I think it is a possibility. If I am right, this will be another element that fulfills Ezekiel 38 and 39. Washington condemned Russia for annexing Crimea five years ago. How is Russia taking this news? Do you suppose Russia and Iran are OK with this annexation? Moscow warned on Monday against “a new wave of tensions” in the Middle East following the decision by Washington to recognize Israeli sovereignty over the Golan Heights. Russia’s foreign ministry spokeswoman Maria Zakharova said the move “ignores all international procedures” and would “only aggravate the situation”. Russian Foreign Minister Sergei Lavrov told US Secretary of State Mike Pompeo the US decision leads to “a gross violation of international law, blocks the resolution of the Syrian crisis and aggravates the situation in all the Middle East,” according to his ministry. The announcement angered the Arab world, including Syria, which vowed to recover the Golan Heights in the wake of Trump’s declaration, saying the Golan would remain “Syrian, Arab” and adding that Trump had shown contempt for international law. Also criticizing the move was Turkey, with President Recep Tayyip Erdogan vowing on Sunday he will take the issue of the Golan Heights to the United Nations. Israel is the only nation to whom Golan belongs. But it belongs to the entire nation, not just the Jews. All this manipulation and political maneuvering is leading up to the House of Judah and the House of Israel’s come-uppance. Trump, if he is a descendant from the tribe of Reuben, has no more right to that territory than the Jews. He doesn’t have the right to turn it over to anyone but the tribe of Manasseh. The Trump-Netanyahu alliance is putting Arab allies of Washington in a difficult position, as unconditional US “gifts” to Israel are increasingly antagonizing the Arab public. These policy distractions undertaken by the Trump administration are undermining the US’s attempt to deter Iran and are in many ways helping Tehran’s anti-US narrative. The growing alliance between the US evangelicals and the Israeli right is polarizing US and Middle East politics and, while it may secure short-term electoral gains for Trump and Netanyahu, in the long term, it may prove disastrous. The pursuit of policies motivated by biblical interpretations risks not only derailing US foreign policy, just like it did under the Bush administration, but also alienating some Republican voters, especially millennials. I have only one comment to this last paragraph. Prophetic events are designed to derail the politics and policies of men. President Trump continues shaking alliances across the globe with his Jerusalem- and Israel-centric policies. Some have appeared to be good and others evil. His Majesty King Abdullah warned on Wednesday during a visit to Zarqa Governorate that Jerusalem is a red line, and that the Jordanian people stand behind him on this issue. Many believe Jordan will turn against Israel in the end of days. Perhaps Trump’s continual pushing of the ‘red line’ will be the reason. Jordan would rather see a peaceful solution to the issue of Jerusalem and not to blindly follow the camp of US President Donald Trump who seems to be focused on appeasing the Jewish lobby in the US and to please his son-in-law Jared Kushner, whose questionable ties to Israel should be a good reason to remove him from his post as presidential adviser in charge of brokering a Mideast “peace” deal, which will certainly be at the expense of justice and Arab rights. The nepotism of Trump that is affecting his Mideast decisions, including his most recent decision on Monday recognizing Syria’s Golan Heights, occupied by Israel in the 1967 Arab-Israeli war, as part of Israel, should not be copied by other countries of the world, according to this Jordan Times article. If Trump and Kushner love Israel so much they can donate US land to them, but not Palestinian and Syrian land. Any country in the world that also supports Israel so much can do the same by giving it part of their national land, not Palestinian or Syrian land. Jordan’s stand on Jerusalem should be emulated by other Arab countries, which are scheduled to convene for the annual Arab summit in Tunisia next week. Arab leaders should rise to the occasion and work to translate the will of their peoples on the Holy City of Jerusalem, on the suffering of the Palestinian people and on the Golan Heights. These peoples will judge their leaders harshly, as they will judge other countries that are doing them and their causes injustices. The world as whole should still have faith that a just peace is the only answer to all Middle East problems, not one-sided unilateral measures. I guess you figured out that King Abdullah is not happy! Saudi Arabia denounced US President Donald Trump’s recognition of Israel’s 1981 annexation of the Golan Heights, a statement released by the Saudi Press Agency said early on Tuesday. In contrast to the Saudi claims, Netanyahu called the Golan a historic part of the Jewish people’s heritage. “When you put a shovel in the ground you uncover magnificent synagogues that we are restoring there,” he stated. “The Golan is ours by historic right, the Golan is ours by the right of self defense, and President Trump has recognized this. I reiterate that these people are all fighting over land that YHVH never said belonged to the them. Golan is being used as a strategic element in many people’s political agendas, beginning with Donald Trump. The Arab League also condemned Trump’s declaration bringing into question the latest Arab turn toward Israel as an ally against Iran. The Druze population of Golan rejected Trump’s announcement. “Trump can make his statements and say he wants to make the Golan part of Israel. But we know this will stay Syrian land,” said 70-year-old Sheikh Mahmoud Nazeeh. France also does not like Trump’s move. On Wednesday, the European States voted against Golan as part of Israel saying Trump’s recognition violates international law. Debka reports that the US has substantially boosted its military strength in both countries and distributed the strength among six bases in Iraq and Syria. In fact, the recent US buildup, which came after Trump declared a US pullout from the Middle East, seems to have been done because of his plan for Golan. The new US military deployment in Syria and Iraq gives substance to President Trump’s statement that the time has come to recognize Israeli sovereignty over the Golan. Most significantly, it is a high impediment for the plan hatched between Tehran and the Assad regime to go forward without delay for the establishment of an Iranian land bridge to the Mediterranean after first reopening the Iraqi-Syrian border. Iranian, Syrian and Iraqi generals began planning this project when they met on March 18 in Damascus. Is the Golan Another Key to Trump’s Re-Election? The Golan recognition is just one of several incidents that will cement the Evangelical vote on Trump’s side. This move was not just for helping Netanyahu, but also for helping Trump in the 2020 election. Recent weeks have seen a change in the politics of America where the Democrats now have spoiled and foul-smelling egg all over their faces because Trump has been cleared of all charges in the Russia election scandal, but the twist is that Hillary Clinton is once again on the hot seat. Trump’s Jerusalem Embassy move, the Golan recognition, rescinding the Iran nuclear deal along with the appearance – and it is appearance only – of the good US economy are sure to win him the next election if things continue going his way. If Jared Kushner is able to snag the peace deal, the election most certainly will be clinched. The uptick in Hamas attacks may have something to do with Kushner’s peace deal. Perhaps even making the after-peace-deal-signing seem like such a great achievement. It is possible that the West Bank will receive a special status in Israel, not as its own State, but as its own “entity”, as stated earlier. This would be akin to turning the areas occupied by Palestinians into the equivalent of Native American reservations. We all know about the inequalities provided by the US government against the Native American population living on reservations. Even when Native Americans move away from reservations, they are discriminated against. In return for this special status, it could be that Kushner’s deal with Hamas will be such that Gaza becomes its own State with Hamas in control, as I reported a couple of weeks ago, in exchange for no more missiles or any other aggression from the Palestinians in Gaza. In fact, I have wondered if the recent uptick in Hamas missile aggression might be in anticipation of the day when they must lay down all their military aggression. The coming peace is anybody’s guess, including mine. Everyone wants to know, not only because it has been a long and drawn out affair, but because some are anxious to make history, some want just want there to be peace in the Middle East and others, like me, just want to move forward with getting to Yeshua’s Kingdom. Senate Republicans, broadly satisfied that Attorney General Bill Barr’s readout of conclusions from the Mueller report has vindicated President Donald Trump, are now eager to go on the offensive and launch a few investigations of their own. Senate Judiciary Chair Lindsey Graham has proposed appointing another special counsel in order to review why the FBI made certain decisions, such as its use of a FISA warrant to surveil Trump campaign aide Carter Page. In addition to examining the way the FBI acted toward the Trump campaign in 2016, Republicans indicated that they have questions on a whole slate of matters centering on why the special counsel probe into potential collusion between the Trump campaign and Russia began in the first place. They also blocked a move from Senate Minority Leader Chuck Schumer to call for Mueller’s report to be made public (a similar resolution passed with bipartisan support in the House last week). Rather than simply accepting the results of the Mueller report and moving on to other legislative priorities, Republicans seem determined to capitalize on this momentum to call out what they see as potentially unfair treatment toward the Trump campaign and administration. Now that the so-called “cloud” has been lifted from Trump, they’re eager to reclaim some of this attention for their own political purposes. In short, they’re ready for some payback. Graham offered up a laundry list of questions he’s interested in examining, including how the FBI reviewed Clinton’s emails, the impact of potential anti-Trump sentiment in the agency, and the broader role the FBI and DOJ may have played in harming Trump’s electoral chances. Many of Graham’s outstanding queries appeared tied to how then-FBI Director James Comey handled the probe of Hillary Clinton’s private email server, as well as the role that a dossier from former British spy Christopher Steele played in the agency’s scrutiny of the Trump campaign. This dossier contained information alleging a conspiracy between Trump and the Russian government. Under the assumption that Trump has effectively been cleared by the Mueller report, Graham is pushing for the same scrutiny to be applied to the way law enforcement agencies treated the Clinton campaign. Republicans surely know that while this has an appearance of fairness, it has the added benefit of putting “Hillary Clinton” and “emails” back in the news. As part of their apparent victory lap, it’s clear that they simply want Democrats to feel the pressure. Fox News Channel’s Mark Levin, a best-selling author whose daily broadcast is heard by more than 10 million listeners on nearly 400 stations and who also hosts Fox News’ “Life, Liberty & Levin,” delivered the charge during “Hannity” on Monday night just one day after Attorney General William Barr released a summary of Mueller’s findings, showing there was no evidence Trump or anyone close to him colluded with Russia to steal the 2016 election. “Hillary Clinton, she’s been silent for three or four days hasn’t she. Barack Obama’s been silent throughout all this hasn’t he,” Levin said. Levin then turned his attention to the Democratic Party, accuses it of being anti-American. “We have a big problem in this country. The Democrat Party is not a pro-American party. They lost an election,” he charged.